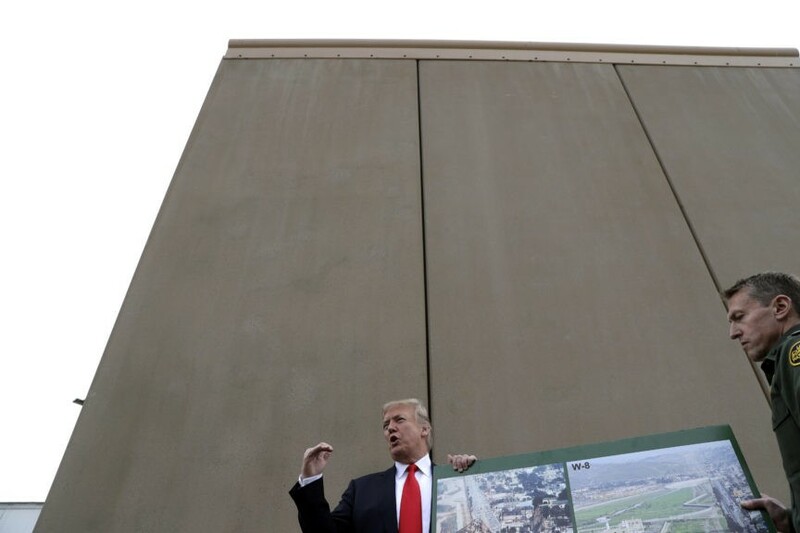 This month, Trump toured border wall prototypes that his administration is looking to use to seal the U.S.-Mexico southern border. 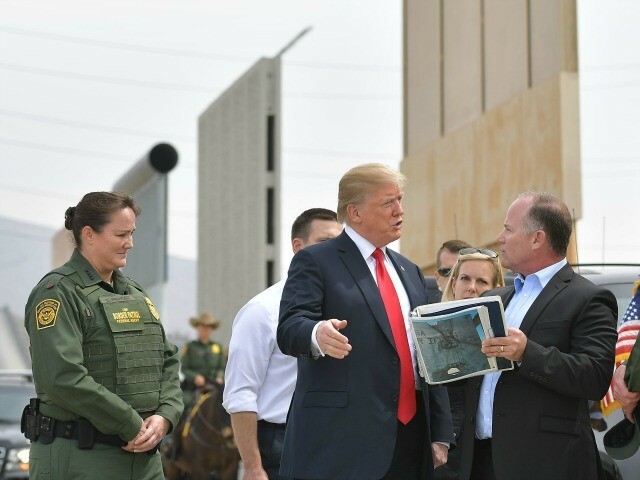 While visiting the border wall prototypes in San Diego, California, Trump criticized the current fencing barriers on the border, noting that they are easily cut through by human smugglers and illegal aliens. 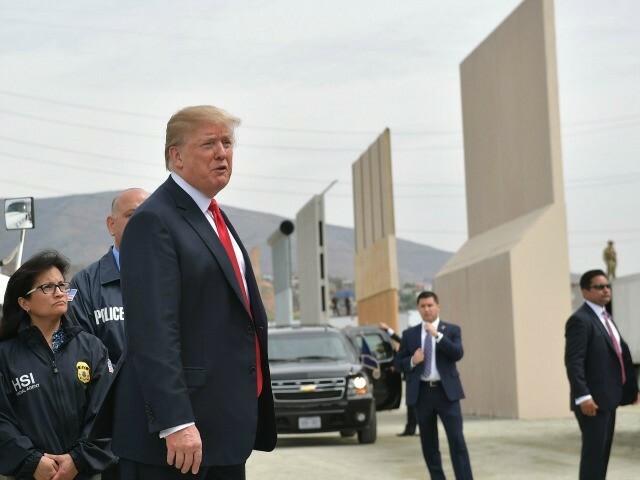 “You have hundreds of holes cut in, and patched,” Trump said, referring to the current fencing on the southern border. 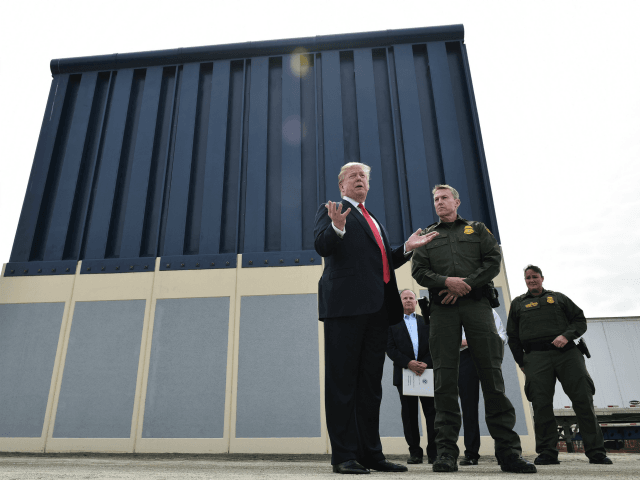 The omnibus spending bill bans Trump from using any of the new border wall designs his administration has commissioned, instead only allowing for previously-used fencing barriers to be constructed. 14 miles on the southwest border in the San Diego Sector. 25 miles along the southwest border in the Rio Grande Valley Sector. Primary pedestrian fencing in Rio Grande Valley Sector. Primary pedestrian fencing along the southwest border. In total, only 33 miles of the southern border will see new, previously-used fencing added, while nearly 50 miles of old fencing will be replaced with new fencing, and 14 miles of current border fencing will get a face-lift. Budget Director Mick Mulvaney praised the budget deal as a “really, really good immigration package,” despite the spending bill not including any of Trump’s pro-American immigration principles. Trump has signed the omnibus spending bill despite opposition from conservatives and his base of supporters. Pro-American immigration reformers have called the omnibus spending bill a “betrayal” to American workers, as it does not authorize construction of a border wall, but does increase the number of foreign workers that will be imported to take blue-collar U.S. jobs every year. 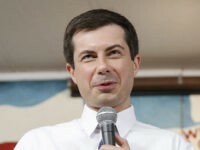 Trump’s populist immigration agenda — wherein he has called on the Republican-controlled Congress to reduce overall immigration levels to raise the wages of American workers — has largely fallen on deaf ears in the GOP leadership.